Canada and the global hockey community were left reeling by the tragedy that occurred in Saskatchewan on April 6, when 16 members of a Saskatchewan Junior Hockey League team were killed in a collision between their team bus and a tractor trailer. The Humboldt Broncos hockey team was traveling to Nipawin, Saskatchewan, for a playoff game when the accident occurred, taking the lives of 16 players, front office members and team staff. 13 more members of the organization were injured. 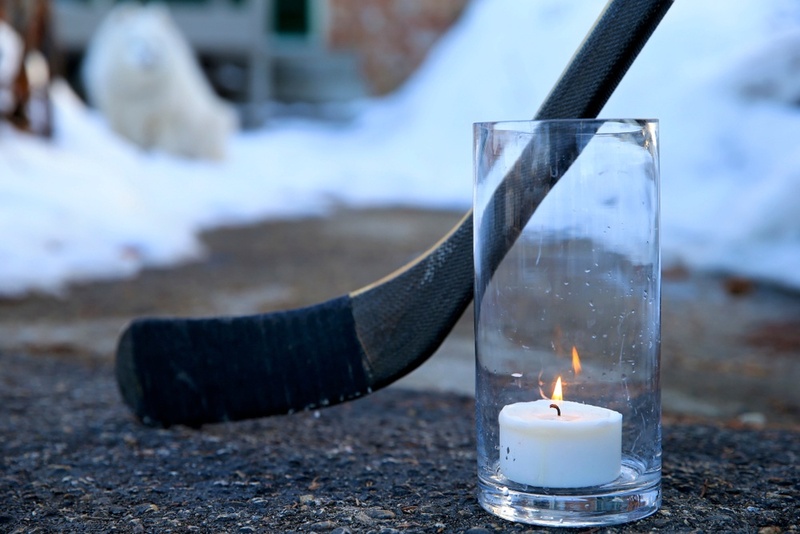 The accident sparked a period of mourning throughout the hockey world, with tributes played in NHL arenas and a global "sticks out for Humboldt" movement spreading across social media. In the days and weeks after the accident, the Saskatchewan community banded together to help get aid to the survivors and to the families of the victims. When a local school approached IDenticard with an idea on how to help, throwing our support behind their plan was a no-brainer. Lanyards are one of the most popular ways to carry and display an ID badge, and it's easy to see why. They are, among other things, a very easy-to-use, versatile card accessory. Custom lanyards take all that's good about a plain lanyard and magnify it with the addition of eye-catching branding. By putting your logo, slogan or other imagery on a custom lanyard, you're offering a way to carry a card or badge that also promotes your brand. 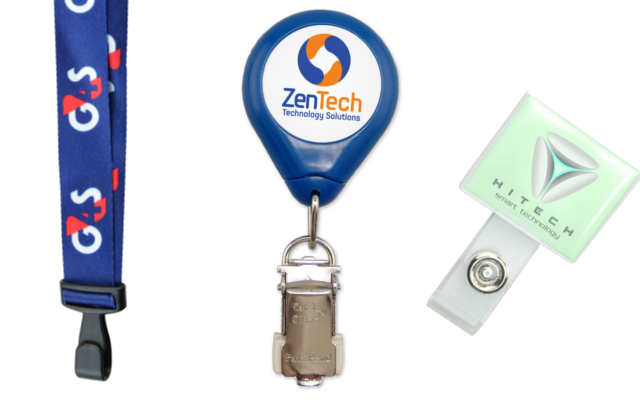 Basically, a cool custom lanyard can serve as a mini-billboard for your organization! Do you want a safety breakaway? What kind of finishing option do you need? Will you be wanting a plastic card clip, or a swivel hook? What material do you like? It's enough to make your head spin! Fortunately, we're here to cut through all the noise for you. We designed a helpful infographic that clearly identifies the major components of a custom lanyard, enabling you to be a more informed consumer next time you make a custom lanyard purchase. Download our FREE custom lanyard infographic! Custom lanyards are one of the most popular card-carrying accessories. They're easy to use, convenient and are a great way to enhance a brand through an eye-catching design. With our custom lanyard offering, the possibilities are nearly endless. We offer so many different end fittings, materials, colors and additional options that you could design a different custom lanyard every day and be busy for years. However, one of the most important parts of creating a custom lanyard is choosing the right customization method. Plenty of places offer cheap custom lanyards, but many keep you in the dark regarding customization methods, offering only a single option. 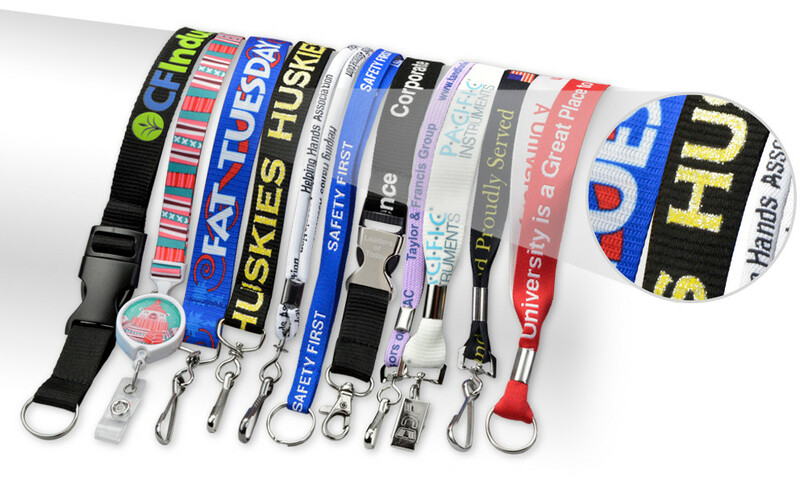 At IDenticard, we offer custom lanyards at an affordable price with three different customization methods: silk screen customization, dye-sublimated customization and woven-in customization. Each of these three customization processes has its own unique benefits. To illustrate the differences, we've created a convenient infographic with high-resolution imagery and information on all three customization methods. Which method offers the classic lanyard look? Which is best for high-detail imagery? The administrators at Ontario Shores Centre for Mental Health Sciences had a dilemma: they needed to roll out a new strategic plan to their staff, but wanted to do so in a fun, creative way. Who knew that custom lanyards would be the answer? Based in Whitby, Ontario Shores provides a variety of inpatient and outpatient mental health services to patients ranging from adolescents to seniors. Part of Ontario Shores' mission is to provide kind, compassionate service to each of its patients. That desire was a key part of the facility's drive to implement a new Strategic Plan, which would lay out a number of Strategic Directions to follow over the next five years. Ontario Shores wanted to create unique, branded items that could be issued to staff members to help spread the new Strategic Directions. The goal was to allow staff members to promote and embrace these new Strategic Directions in a fun way. Ontario Shores had an idea, but wasn't sure how to make it reality. Luckily, the facility was working with an ID manufacturer that has a wealth of experience creating custom solutions. Badge Reels, Badge Holders, Lanyards or Strap Clips: Which Should You Choose? People tend to put a lot of thought into the look and feel of their ID cards, and rightly so: an ID card, like an employee badge or student ID card, is the centerpiece of any identification program, and is an important way to positively identify someone and increase security. You've created the perfect ID card. The logo looks great, the photo is perfectly placed and the security feature adds a touch of professionalism. You're thrilled with the result. However, when it comes to ID cards, there's an oft-overlooked but equally important question that requires just as much thought as your ID card's design: how are you going to carry it? "Uh...I don't know, with one of those card things." Ah, yes. The "card things." Unless you're familiar with the identification products industry, names like strap clips, lanyards, badge reels and badge holders probably aren't at the top of your mind. These four products are far and away the most common ways to carry and display ID cards at all kinds of settings, from schools and offices to retail outlets and factories. If your goal is to carry an ID card without shoving it in your pocket, you really can't go wrong with any of the four options mentioned above. However, each of the four has unique benefits and drawbacks that combine to make the solution better for some situations and worse for others. Nurses: they're the backbone of every hospital and major medical facility. Nurses do it all, from assisting with procedures to providing emergency care to patients of all kinds. Nurses are caring, compassionate and have nerves of steel, able to withstand the kind of pressure that comes from working in the fast-paced, high-stakes healthcare world. 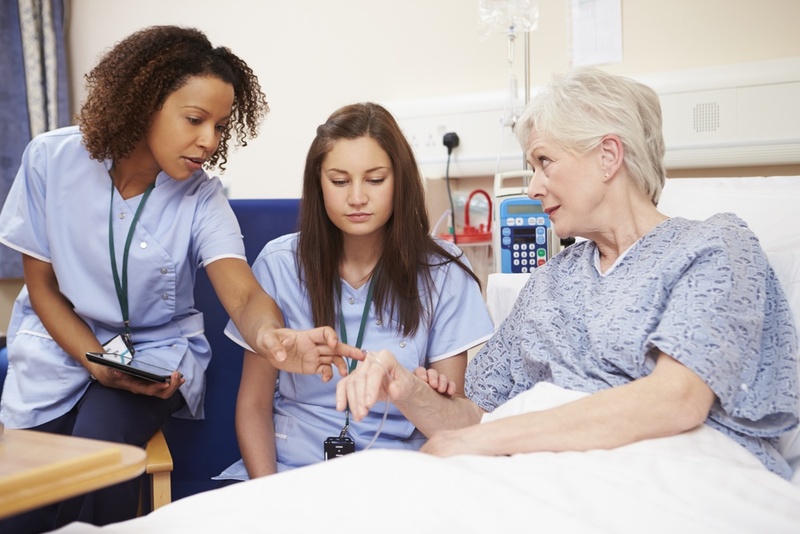 To celebrate the differences made by nurses across the country, the American Nurses Association sets aside a week each year, known as National Nurses Week, to honor its members. This year, National Nurses Week is from May 6-12, just over a month away. While no small item could ever truly thank nurses for the impact they make on a daily basis, it's become common for organizations to give their nurses little gifts or giveaway items during National Nurses Week. Learn more about National Nurses Week. These items are meant to show appreciation for the nurses, and to show them that all their hard work doesn't go unrecognized. One way to show your nurses that you appreciate them, both during National Nurses Week and on a daily basis, is by offering custom nurse-themed ID card accessories. Custom Lanyards 101: What Are the Best Options for End Fittings? Custom lanyards are more than a great way to carry and display an ID card, employee badge or set of keys: they're also a highly customizable, brand-enhancing solution! With the release of our all-new custom lanyard tool, we want to shine some light on a few key custom lanyard concepts. We hope these posts will help you better understand the world of custom lanyards. When buying any custom product, you know you're going to have several big decisions to make. Creating custom goods is a great way to offer a unique, attention-getting product, but it's always going to be a bit more difficult than just grabbing something off the shelf or clicking "add to cart" online. What material do I want to use? What kind of customization will I need? Do I need a safety breakaway? Will I be doing positional printing or continuous? One of the most important questions, however, isn't listed there and is often forgotten altogether: what kind of end fitting do I want? Maybe it's because it's all the way down the end of the lanyard, or maybe it's because it's not as glitzy as choosing full-color dye sublimation over one-color silk screen, but the noble end fitting is frequently an afterthought. Why?! The end fitting is arguably the most important part of your lanyard, as it's responsible for securing your attached credential or keys. This post will help shed some light on what your options are when it comes to choosing an end fitting, what each end fitting offers and more. Yes, there's an end fitting called a lobster claw. No, it isn't made of lobster. 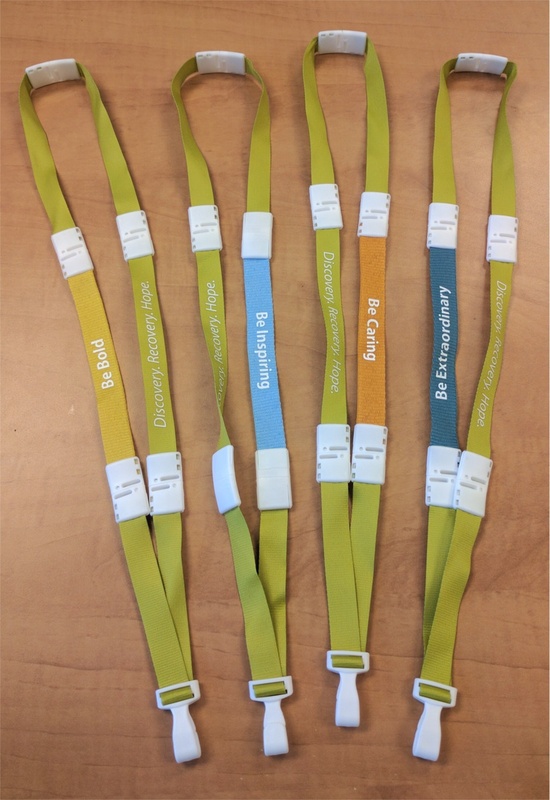 Custom Lanyards 101: What Are Continuous and Positional Printing? 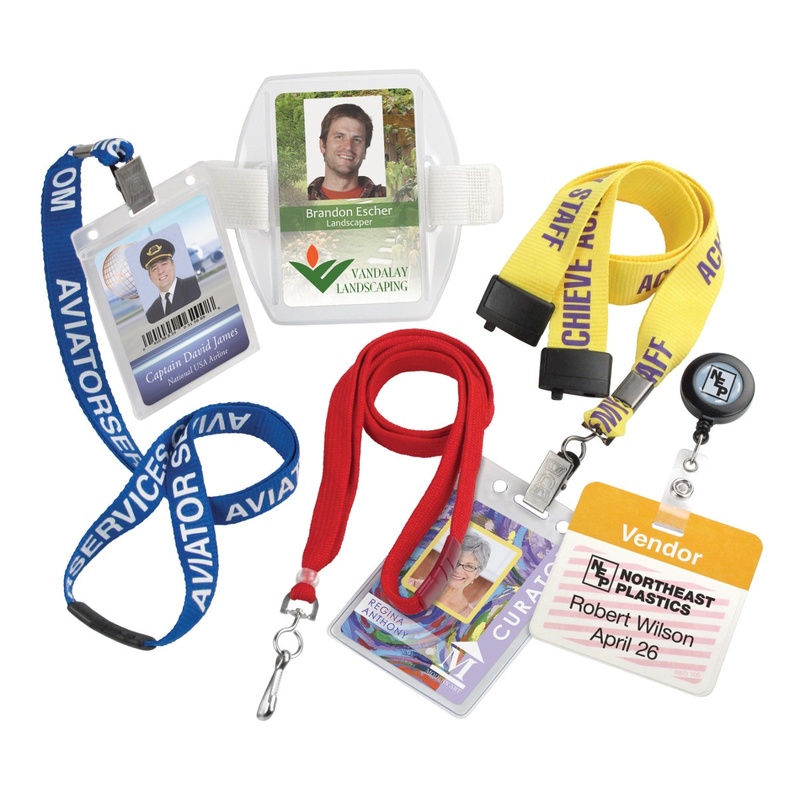 Custom lanyards are more than a great way to carry and display an ID card, employee badge or set of keys: they're also a highly customizable, brand-enhancing solution! With the release of our all-new custom lanyard tool, we want to shine some light on a few key custom lanyard terms. We hope these posts will help you better understand the world of custom lanyards. When it comes to custom lanyards, "print type" can refer to more than one thing. It can be the method used to print your custom design on the lanyard (e.g. dye sublimation, silk screen, etc.). It can be the layout and alignment of the custom design itself. In this case, positional printing refers the the latter: the actual alignment of the custom imagery itself. When most people look at a custom-printed lanyard, they notice a few things right away: the custom graphic, the logo, the text, maybe the end fitting. What most people don't notice is the way the custom design itself is printed. "I didn't even know you could print it more than one way," you think. But much like you can choose a variety of alignments when typing up a document, there is a difference between lanyard print alignments, and choosing one style over another will have a big impact on the overall look of your custom lanyard. When shopping for a badge reel, badge holder, lanyard or other card accessory, you have a variety of things that you need to consider before making a purchase. How do I want these accessories to attach to the wearer? What kind of accessory best fits my credentials? Do I need to buy different accessories for different personnel? These questions will help you zero in on the perfect card-carrying accessory for you. "Do I want custom card accessories or stock products?" The "custom vs. stock" argument has been going on for as long as products like custom lanyards and custom badge reels have existed, and there's really no right or wrong answer. Stock products will be great for customers looking for something quick, with cost being a primary concern. For other organizations, spending a little more for an eye-catching custom product is worth the wait. While we do think stock products are great, custom card accessories offer a few hidden benefits that stock products can't match, making it worth your while to make the investment in making something your own. You have your new ID cards all picked out. They're perfect. You custom designed them with your organization's logo, included a bar code for use in the office cafeteria and even added a smart chip that lets your employees use them to gain access to the building. Now, how are you going to carry them? For organizations starting an ID badge program, a lot of effort goes into choosing and creating the perfect ID credential. It makes sense: after all, the card itself is the center of the badging program. However, your employees will be using these credentials every day, and will need a way to carry them around. For that reason, choosing the right ID badge accessory is an essential part of running a successful badging program. When it comes to card-carrying accessories, you have plenty of choices. Strap clip? Lanyard? Badge Reel? Badge Holder? Neck chain? 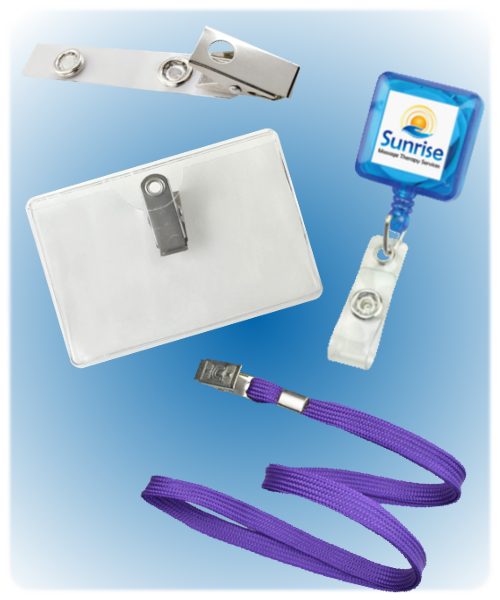 While each of the above is a great ID badge accessory in its own right, certain accessories are better suited for use in specific situations. So, how do you go about finding that perfect accessory? We've got you covered!